Green tea may aid in the prevention of cavities and gum disease, which helps keep your smile bright and full of beautiful teeth. If you’re a coffee drinker, you may want to consider swapping your morning java for tooth-friendly green tea. While green tea boasts antioxidants and yields a remarkable array of overall health benefits, it also can keep your pearly whites healthy. May reduce oral cancer risk. According to one study, drinking five or more cups of green tea a day may reduce a woman’s risk of developing oral cancer. Diminishes decay. Thanks to green tea’s bacteria-controlling properties, it may help prevent decay and cavities. Green tea also reduces saliva’s acidity. Reduces risk of gum disease. Due to its high concentration of flavonoid phytochemicals, green tea may reduce symptoms of periodontal disease. Lessens plaque buildup. 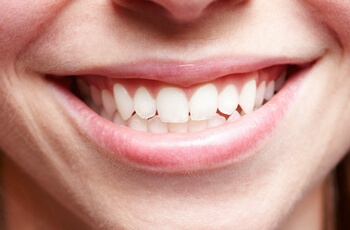 While consuming green tea is reputed to be able to cut plaque buildup in the arteries, it also may reduce sticky plaque on the teeth. That’s because green tea is high in polyphenols that either curb or eliminate plaque. Black tea also has plaque-prevention properties. While green tea packs a powerful punch when it comes to optimi[z]ing oral and overall health, an obvious downside of drinking tea is that it can stain the teeth. After consuming, consider drinking water or drinking tea using a straw. For peak stain-fighting power, however, we offer professional teeth whitening for the quickest and most effective results.